The annual year meeting in the Hong Kong Chamber of Commerce in Sweden was held on the 22nd of March in Stockholm. Nineteen representatives attended the meeting and were among others the board, honorary members, and private members. 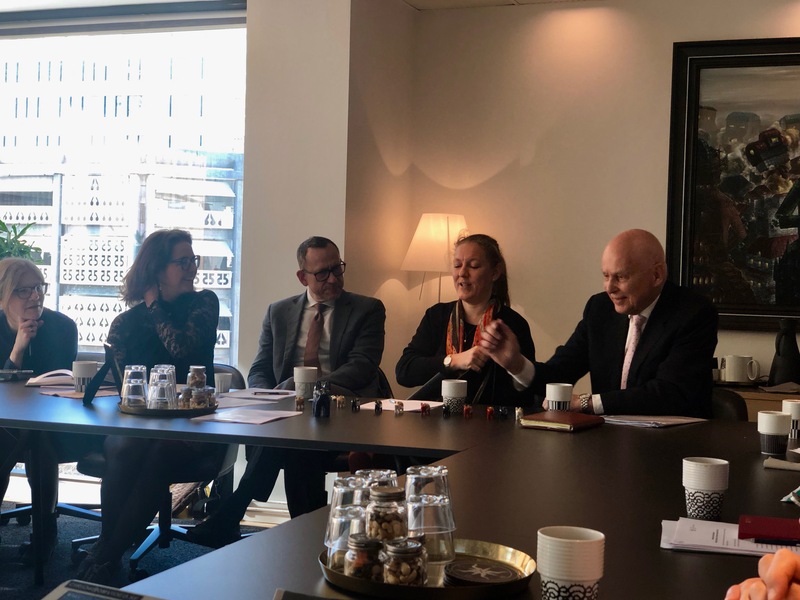 The meeting was primarily attended by Helena Storm, Consul General of Sweden in Hong Kong and Macau, who gave us a presentation about upcoming events for 2019. One of them is the yearly Swedish Winter celebration in Hong Kong with lots of happenings for several days. The meeting continued with another presentation held by chairperson Torborg Chetkovich who gave us a summary of 2018. Helena Storm shows off the handmade wooden pigs that were made for the Chinese New Year – The year of the pig. The Board has also received a supplement of four new members. We want to welcome Jennie Cato, Katarina Edvall, Joanna Mörk, and Anna Pettersson to the chamber. Our dedicated board member Åsa Elm has further been elected to become vice chairperson, congratulations Åsa! Thanks to all our founding, corporate and private members. We are looking forward to 2019!